It’s been 45 years since Fortitude Valley nightclub Whiskey Au Go Go was firebombed, killing 15 people -but the devastating effect on those left behind hasn’t lessened with age. 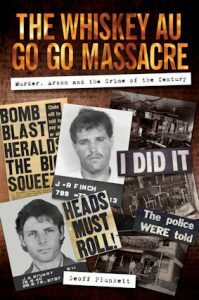 In his book The Whiskey Au Go Go Massacre, author Geoff Plunket wrote about a 22 year-old waitress who was working the floor at the popular hot spot on the night of the attack. Her name is Donna Phillips and Chris spoke with her about the event that changed her life, on Perth Tonight.